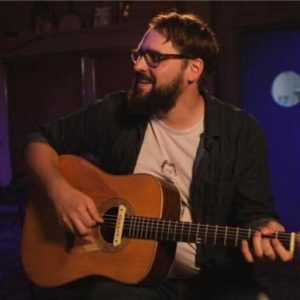 Andy Adams is an Oklahoma City-based musician who has been performing around the city and state for over ten years. Vocally, he possesses a wide spectrum of range and a variety of tone. He uses these aspects to add vivid and dramatic effect to enhance the mood and movement of the stories in his songs. In combination with his guitar work this takes his narratives into enchanting tone poems. The authentic vocal commitment and scope of the narrative brings the listener out of the mundane and into a new world full of possibility.